Function: Perfect for raised decks, a water drainage system allows you to recapture even more livable space than before! Deck drainage systems not only add attractive dry functional space, they also help collect and drive water away from both the home and deck foundations. Deck drainage systems help protect items, create storage areas, and provide an outdoor living space. Aesthetics: Drainage systems come in a variety of colors, however white is the most popular. By selecting light or off-white color schemes, your deck drainage system will help to brighten the space under your Omaha home’s deck. 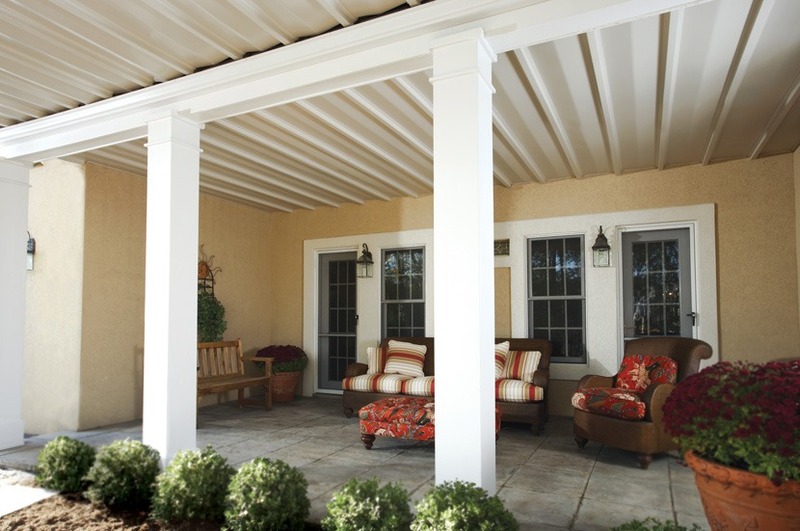 When covering the underside of your deck you are hiding what some consider to be the unsightly under structure, giving your living area even more of a finished crisp clean look.